Campion Foundation is proud to be a founding member of the Statewide Capacity Collaborative (SCC), a group of grantmakers in Washington who collaborate on how to best strengthen and support the capacity of nonprofits, individually and as a sector. 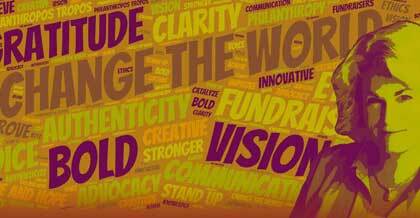 Our vision is a healthy and resilient nonprofit sector where individual nonprofits thrive, communities work collectively to address their needs and the sector is seen as a force for change. We have a responsibility to serve as strong advocates for the nonprofit sector, which includes service providers, grantseekers, and grantmakers (private, corporate, and public funders). Leveraging our funding and issue area expertise in capacity building into broader funding and impactTo date the SCC has made aligned investments of over $4.3 million across the state and in 2014, we awarded our first pooled fund grants to eight grantees working across the state to build the capacity of underrepresented constituencies to engage in community solutions processes. To date the SCC has made aligned investments of over $4.3 million across the state and in 2014, we awarded our first pooled fund grants to eight grantees working across the state to build the capacity of underrepresented constituencies to engage in community solutions processes. In Fall 2015, Washington Nonprofits was awarded a grant to support sector-wide advocacy and public policy work in Washington.